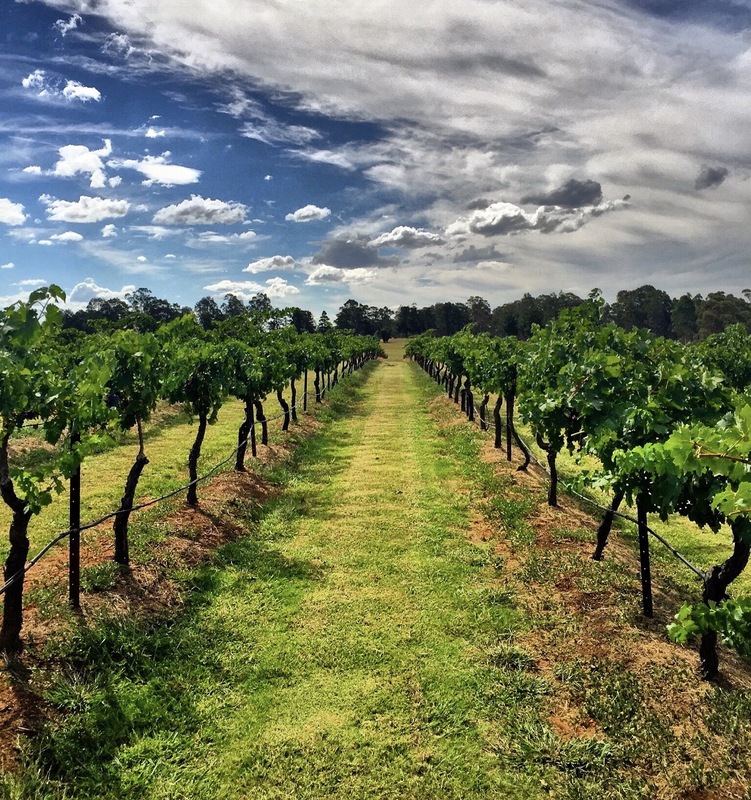 The Hunter Valley is a popular tourist spot, with numerous big group tours flooding in to sample the many wonderful wines on offer. 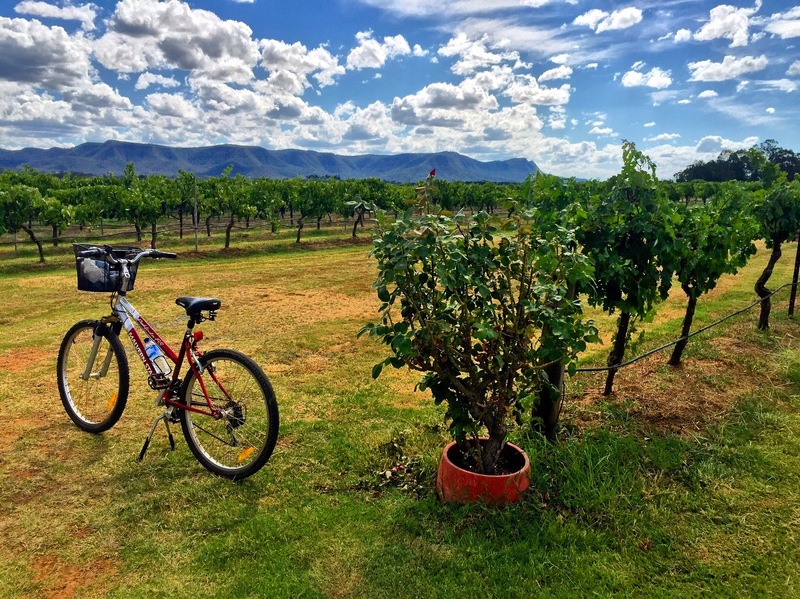 However, if the maddening crowds aren’t for you and you’d prefer a slightly alternative experience discovering smaller boutique vineyards in this beautiful region by bike, then this is the blog post for you. We took off for our Hunter Valley weekend after work on a Friday in the height of summer in January, arriving in a stifling 40 degree heat 2 hours later. 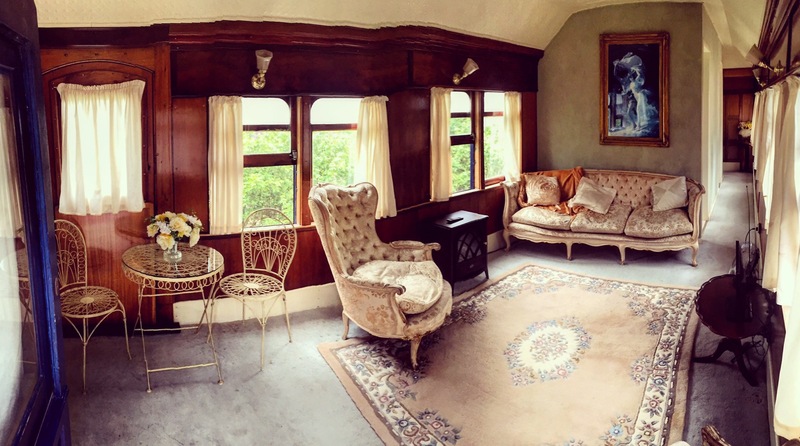 We wanted to stay in the heart of the wine region, opting for a place called Pokolbin, and after researching a few different accomodation options, we decided on something a bit different – a beautifully restored train carriage, found on Airbnb. With 6 restored train carriages to choose from, we went for ‘The Royal’, beautifully finished with Rosewood Walls, french antiques and a spa bath. 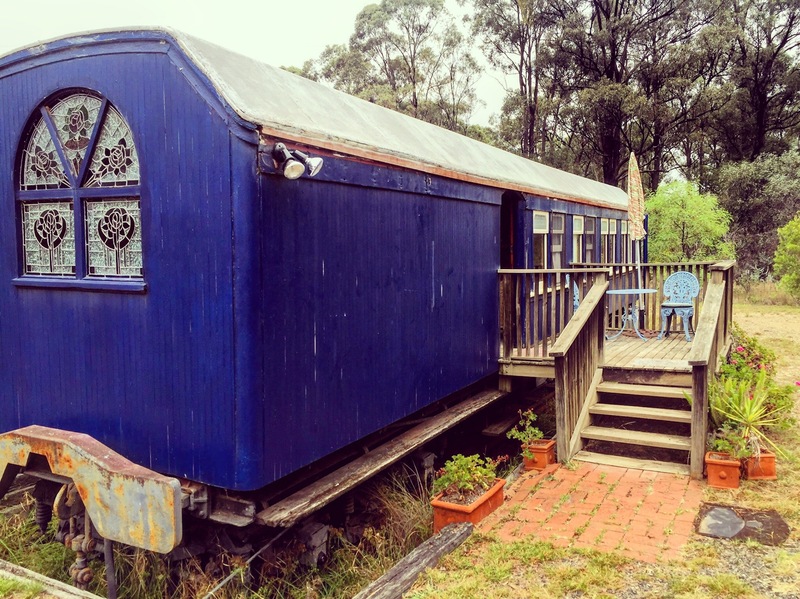 If you’re doing the Hunter with a bigger group, the ‘Safari’ and ‘Victorian’ sleeps 8 people, and the ‘Chardonnay’ sleeps 12. They’re perfectly located in amongst the vineyards, and set in 25 acres of land with tennis courts and a swimming pool. Despite it being the hottest night in the Hunter that summer when we arrived in our train carriage (watch out – there’s no air con in the carriages! 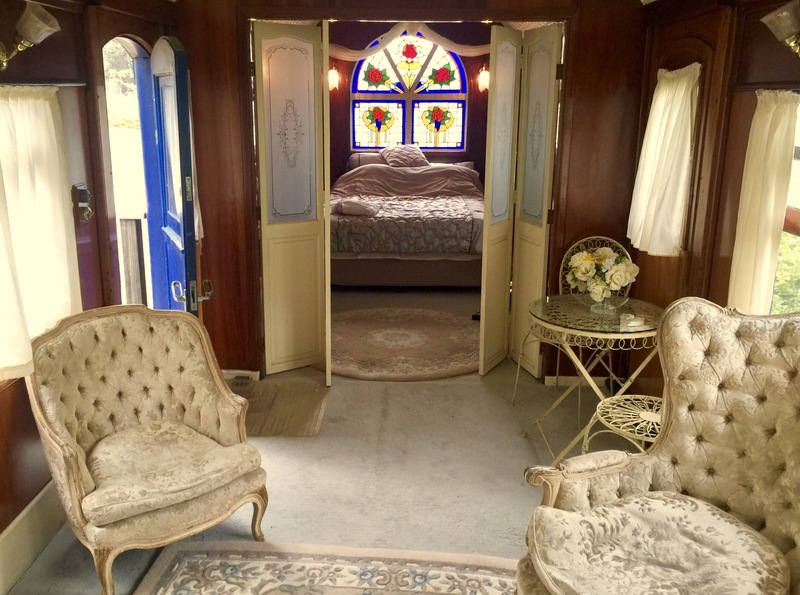 ), we were really impressed with how much attention had gone into restoring these carriages which still contained many of the original features and period pieces. After a very hot night in the carriage, we headed out the next morning to pick up our bicycles to begin our self-guided wine tour by bike. 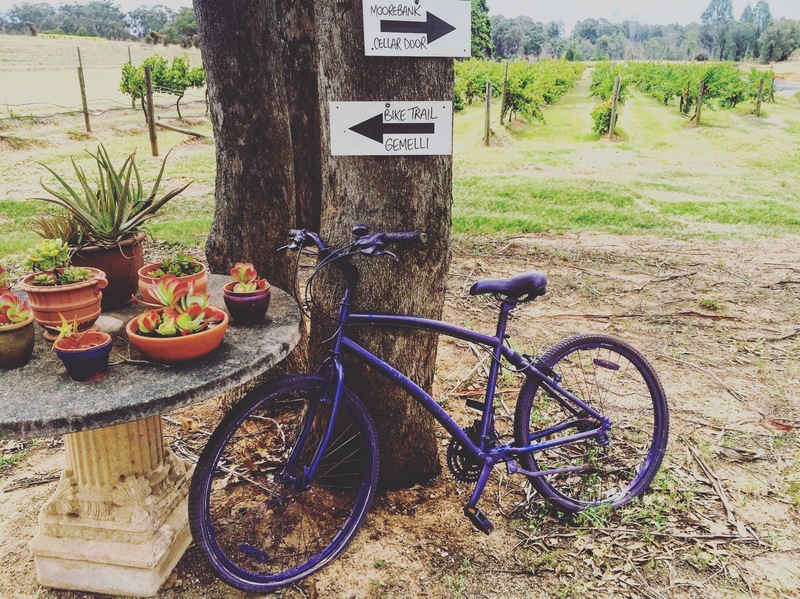 We’d highly recommend discovering the Hunter vineyards by bike – you can go at your own pace and avoid the places with multiple tour vans parked up outside. There’s some beautiful bike routes nearby, where you can cycle in and around the heart of the vineyards and catch some stunning countryside views. We hired our bikes from Grapemobile – not only were they located right next door to our accomodation, but they offer a great service where all the local vineyards deliver any wine you order en route back to the Grapemobile centre, so you don’t have to worry about lugging countless bottles of wine around! We kicked off with some local Moscato at Grapemobile itself from their own vineyard – Pokolbin Brother Wines. 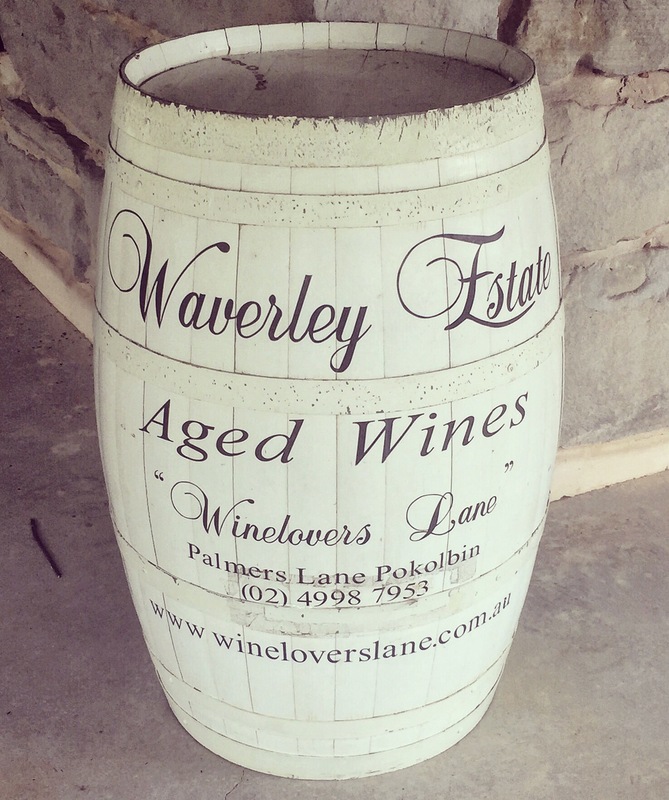 Once we were armed with our bikes and local vineyard route maps, we pedalled off into the heart of the wine region to begin our Palmers Lane Eco Trail tasting tour. Just a short ride away we made our first stop at Waverly Estate Aged Wines and tucked into a selection of gourmet cheese, olives and wine. Although Waverly is a popular stop for wine tours, if you can time it right and visit when there aren’t many vans parked up, it’s a really beautiful spot to soak up the views of the rolling Hunter Valley hills and enjoy their outdoor seating area which they’ve decked out beautifully (don’t miss out on their crisp Sauvignon Blanc – the perfect refresher on a hot Hunter day). 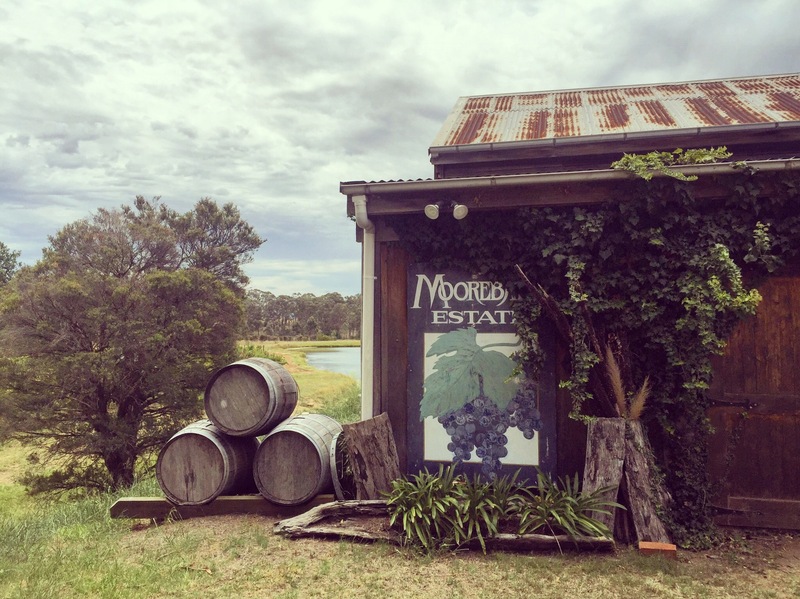 Next stop was Moorebank Vineyard Estate – a much smaller and quieter vineyard where you’ll get a more personal wine tasting experience compared to the bigger vineyards like Waverly. The stand out wine for us because of it’s uniqueness was the sparkling Merlot – a first for us and surprisingly delicious! We then headed to Calais Estate Wines, just across the road and probably one of the more picturesque vineyards we visited that day. This is a great spot to stop for lunch – whilst their restaurant (‘The Verandah’) is pricey, go for one of their delicious gourmet picnic packs which includes two cheeses, two condiments, smoked salmon pate, premium salami or ham, Sicilian olives, and sesame and poppy lavosh for just $46. After a cheeky tasting, add in your favourite bottle of wine and you’re all set for a delicious picnic lunch in the beautiful grounds of Calais Estate Wines. We would have loved to enjoy our picnic right in the vineyard grounds but unfortunately it was just too hot at 42 degrees so the kind staff at Calais Estate offered us a private area inside to enjoy our lunch and cool down. After a quick re-fuel we jumped back on our bikes and headed for Gemelli Estate. The great thing about this winery is that they don’t accept any big wine tours, so you’re almost guaranteed a very personal experience here at Gemelli, with their wonderfully friendly and knowledgable father and daughter owners. The fact that their wines are named after family members just adds another personal touch to the whole experience. 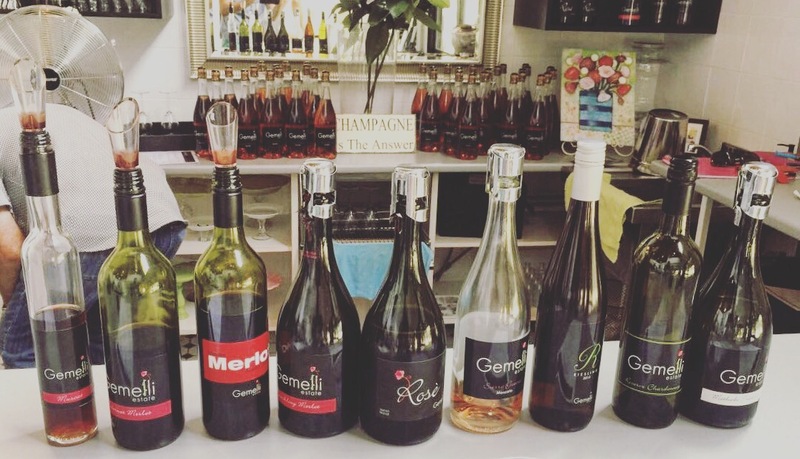 Gemelli had a great range on offer, but our favourite was probably the Moscato. After Gemelli, we were sufficiently wined up and ready to head back for a rest before our evening dinner plans. The ride back to Grapemobile was one of our highlights – and one of the main reasons why we loved discovering Pokolbin vineyards by bike. The route will take you through some beautiful countryside with never-ending vineyard and rolling hill views. 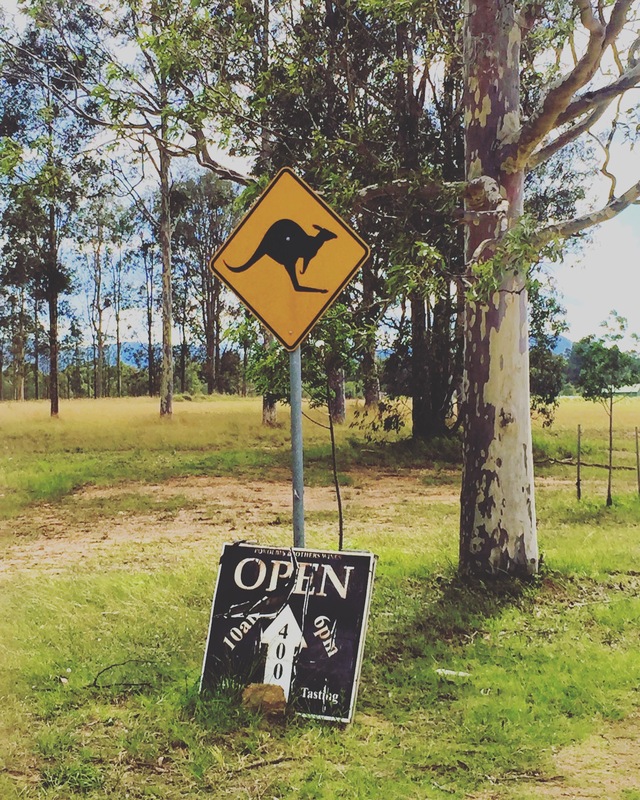 If you’re lucky like us, you might even spot some kangaroos hopping around. For dinner that evening we headed about 10 mins west to Muse Kitchen – a regional European Bistro style restaurant situated in the picturesque Keith Tulloch Wines courtyard. Muse Kitchen is the sister venue to Muse Dining, one to visit if you’re after more of a fine-dining experience. However, saying that, we thought the menu at Muse Kitchen wasn’t far off fine-dining with some absolutely delicious dishes on their menu and is pretty good value for money. For starters I went for the slow cooked Nulkaba egg, wild mushrooms, hazelnut, pearl barley, jus Dutch Cream potato gnocchi, sage and date sauce. For mains I chose the roasted corn fed chicken breast, broccoli, sumac, jersey milk ricotta Confit Redgate Farm duck leg, carrot, juniper, and golden raisin sauce for mains, with a side of roasted butternut pumpkin, blue cheese, and local honey which was an incredibly mouth-watering combination. As well as delicious food, we really loved the warm and friendly atmosphere at Muse Kitchen, with lovely staff who treated my husband to a yummy birthday dessert on the house. With a lovely bottle of Sauvignon Blanc, our meal came to around $75 per head which we thought was pretty good value. After waking up the next day with slightly sore heads, we swapped wine tasting for coffee tasting and drove a few mins down the road to Worthington’s Wine Estate located on 25 private acres surrounded by Shiraz and Semillon vines. The cellar door is a beautiful converted barn offering a huge selection of local produce as well as their lovely local coffee and of course their wine – Flying Circus Wine (try the dessert semillon – our favourite). After relieving our sore heads with a caffeine kick, we headed 15 mins south of Pokolbin and hit some stunning countryside as we drove into Mountview on Mount View Road, leading us to the highlight of our Hunter Valley weekend – Bistro Molines. A friend had recommended this restaurant to us, but despite hearing how wonderful it was, we weren’t expecting such a stunning sight when we arrived. Feeling as if you’ve just been transported half way around the world and you’re stepping into some kind of Tuscan paradise, Bistro Molines is surrounded by rolling hills, a picturesque lake and never-ending vineyards, offering a perfect combination of fine food with a relaxed, friendly and inviting atmosphere. It’s no wonder this place has won numerous awards and attracts visitors from around the world. 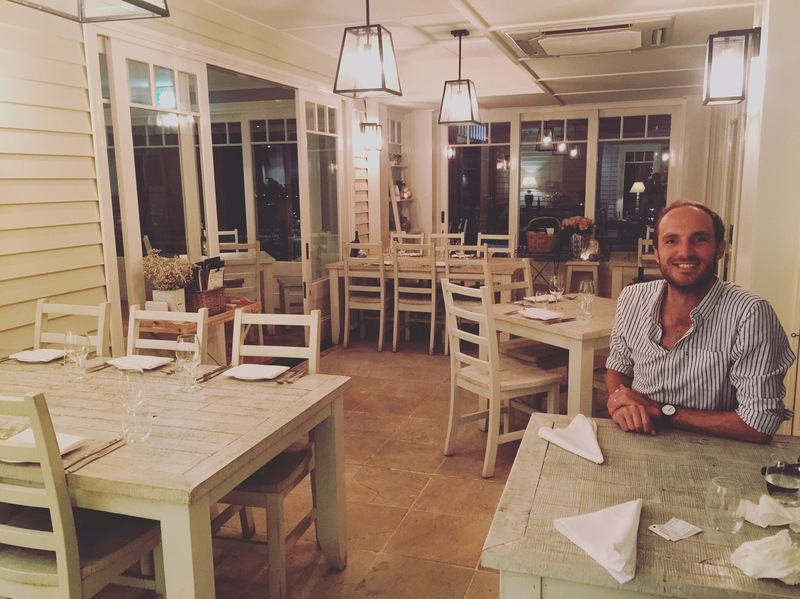 The menu is reflective of Robert Moline’s french roots, offering sophisticated yet rustic French Provincal dishes, with refined local wine to complement these wonderful tastes. After receiving a delicious complementary arrival dish to get our taste buds going and ordering a 2014 Shiraz, we swiftly moved on to starters – Baked Figs Farced with Gorgonzola wrapped in Prosciutto, Petite Rockette and Gorgonzola Cream ($27) – mouth watering perfection! For mains we had the mixed Grill of Lamb: Cotellete, Breast and Sausage, Eggplant Puree, Cherry Tomatoes, Rosemary and Garlic Jus ($43). Although the dessert menu offering sticky date pudding, affogato, toasted marshmallows, chocolate fondant and almond tarts was hugely tempting, we just couldn’t squeeze anymore in, so we finished our dining experience at Bistro Molines with a quick wine tasting at Tallavera Grove just alongside the restaurant to send us home on our merry way. All in all we were pleasantly surprised by the Hunter Valley. Despite it being a popular tourist destination, we managed to find some great little peaceful and quiet spots to enjoy the wonderful array of wines and food on offer. To compare wine regions, check out my post on Orange. Next stop, Mudgee!